Most people contact their township when they want to make a change to their property, like installing a fence or building a garage. But did you know that your township can be a source of invaluable information from local emergencies (evacuation plans for example) to tax hikes to building code changes and new housing developments? Before there’s a plan, there is usually a permit, a request or inquiry. If you are a concerned citizen, the information is there for the asking. Thornbury Township Municipal Building on Township Drive in Cheyney, Pa. I have signed up for email updates from several townships. I am notified of township alerts, volunteer opportunities and local events from tree lighting to planning commission meetings. Just the other day I was reading the minutes of a planning meeting and one comment that stuck in my mind was “if people want to know about these developments they should come to the meetings.” Yet many people I come in contact with are unaware that these meeting are taking place. If you find yourself scratching your head, thinking “why didn’t I know about that?” when you see the bulldozers across the street from your neighborhood, you should sign up for your townships’ e-newsletters. The immediate residents are usually notified by mail if something may affect them, but the community at large needs to rely on their own involvement to keep up to date with new developments and changes in policy. By the time your are reading about the new mall, housing development or tax hike in the Daily Times, it’s usually too late to have your say. Some developments in our area that have attracted attention are The Franklin Mint in Middletown, Sleighton School in Edgmont and a proposed housing subdivision near Rustin High School in Westtown. There are other happenings that are not as newsworthy, but may impact one or two neighbors-and those neighbors are allowed to have their input. What’s happening in your area? Get tuned in and find out! 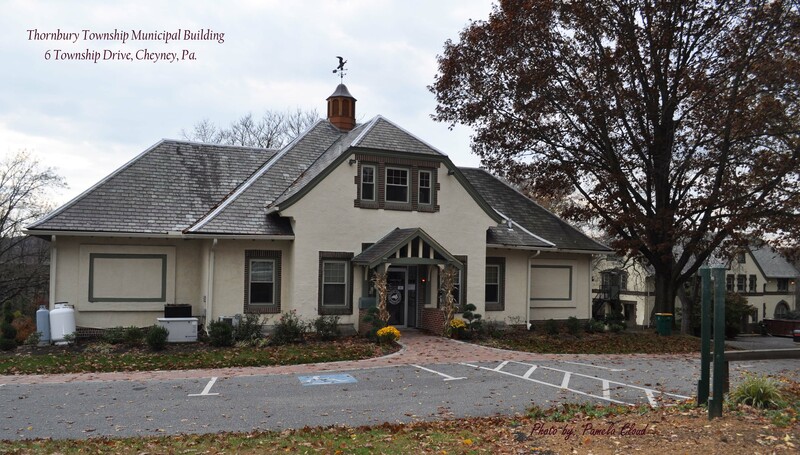 According to the Daily Times, only five people showed up to the last meeting in Middletown township regarding a proposed $42 annual tax on anyone working in the township. 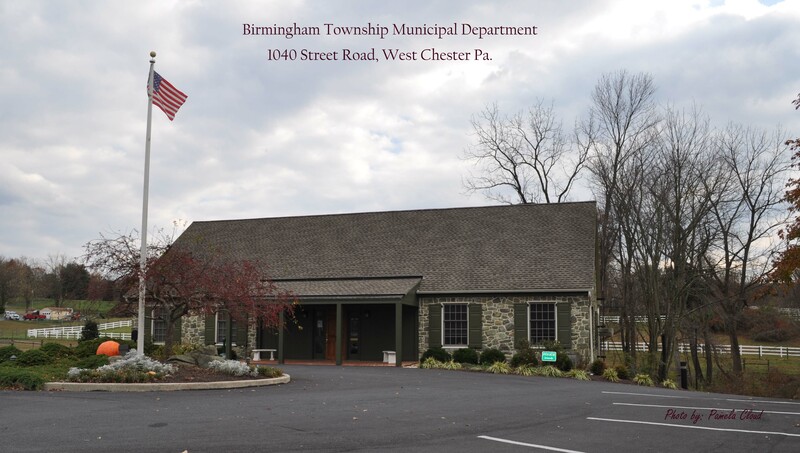 Birmingham Township Municipal Building on Street Road in West Chester, Pa. I found this message on Birmingham Township’s website: “The Birmingham Township Comprehensive Plan (the Plan) is ten years old and in need of review. The Plan serves to guide township authorities and volunteers as they set priorities for Birmingham. It also gives residents a sense of the goals the township will set in preparing for the future. To accomplish that review and update we are collecting the opinions of large sample of adult residents in the township.” Along with this note is an on line survey. If you live in Birmingham and want to have input, you should check out this site! 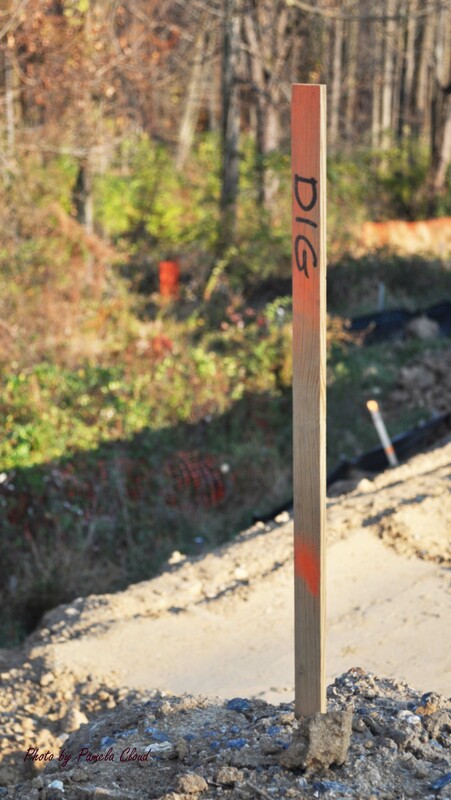 Some townships inspect a home from house numbers to sidewalks to sump pumps. Other townships have no U&O requirements. There has been great debate lately about whether some townships will require lateral sewer inspections at point of sale, a potentially costly fix that the seller would need to address prior to settlement. Another big ticket item is the replacement of cracked sidewalks. Wouldn’t you want to know about these things if you were planning to sell your home? I learned early in my real estate career that Use and Occupancy, or U&O inspections can make the last few weeks before settlement very stressful. The U&O inspection is usually scheduled about three weeks prior to settlement because the actual certificate itself has a limited shelf life. If there are inspection issues, the seller needs to respond by getting bids and having them fixed and then having the property re-inspected (at an extra cost) within a very short period. Most title companies won’t settle your property without the certificate from the township unless you have otherwise agreed with township (and funds in escrow) for the required repairs. Even if the buyer accepts this remedy, their lender may not. Since that first real estate transaction I’ve gotten smarter. At each listing appointment, I review with the seller a list of inspection items obtained from the township website. We look at the items that may need to be addressed and in a perfect world address them prior to listing. It’s easier to do the required fixes when you are in a relaxed state rather than having your settlement at the mercy of weather and contractor’s schedules during that three week window. If the seller is unable to pay for the repairs, it’s good to know up front so that the listing can be marketed in a different manner. Aston Township, Bethel Township, Birmingham Township, Chadds Ford Township, Concord Township, East Goshen Township, Edgmont Township, Media Boro, Middletown Township, Nether Providence Township, Thornbury Township (DE County), Thornbury Township (Chester County), Upper Providence, Westtown Township, West Chester Boro, West Goshen Township. If you do not see your township here or cannot find the U&O requirements, contact me for a list. Or, you can search the name of the township and get to know where you live! You’ll be glad you did!